Cloud computing’s history over the past 20 years foretells the future of automotive over the next 20 as autonomous vehicles and ride-sharing take over. There’s a statistic about how little we use our cars that pulled me up short when I first heard it. For almost 96% of the time, the average automobile sits unused in its driveway, garage, or parking space. The utilization rate of these highly valued assets is a derisory 4%. What really made me stop and think when I heard this figure is that the 4% utilization rate is identical to that of the average business computer before the advent of cloud computing. Rewind just a decade, before the huge growth of Amazon, Google, Salesforce and the rest. Back in those days, the average enterprise used to own and run their own computers — and they stood idle pretty much all the time. Precisely 96% of the time. Utilization rates have soared in the move from those grossly inefficient enterprise data centers into massive utility computing facilities operated by large-scale cloud providers such as Google, Amazon and Microsoft. From that lowly 4%, utilization has settled nearer 70%, which is the practical maximum since around a third of capacity must be held in reserve for failover and backup. What’s intriguing when you start to draw parallels to our cars is that the change has meant a fundamental rethink of how computers are designed and run to work best in these massive data centers. If we wind forward the future of automotive and personal transportation just ten years, what does the history of cloud computing suggest the outcome will be for the automobile industry, as first ride sharing and ultimately autonomous driving take hold? One of the most important takeaways is that when we imagine driverless cars, we have to let go of our mental image of an automobile with the driver removed — just like the horseless carriage a century ago turned out be so much more than a carriage with no horse. Computing changed fundamentally when it became a connected, shared resource. The same will happen to personal transportation. Having closely followed the evolution of cloud computing over the past two decades, I foresee many parallels in the evolution of autonomous vehicles. Of course there are differences. Apart from considerations of latency and data residency, computing can be supplied from anywhere. Transport has to be supplied where it is needed, which makes it more difficult to reallocate excess capacity. But there are enough similarities to make several confident assertions. As cloud providers began to grow in size, they realized that the general-purpose design of mass produced PCs didn’t suit their needs. They also discovered that their purchasing power meant they could bypass the traditional PC makers and order their own custom designs direct from OEMs. Within a few years, they were sharing design ideas via the Facebook-inspired Open Compute Project. These custom designs were engineered to minimize operating costs under constant load, while stripping out unneeded components, from bezels to keyboard controllers. We’re already seeing ride-sharing companies including Uber, Lyft and BlaBlaCar teaming up with traditional carmakers to test autonomous vehicles and alternative ownership schemes. But the history of cloud computing suggests that other, less visible partnerships will be where the more disruptive innovation takes place, once operators reach sufficient scale to command their own custom designs. Driven an hour a day, savings on gasoline from electrification aren’t sufficient to justify the upfront added cost of the car. But in a future of shared, autonomous vehicles with much higher utilization, electric cars make far more economic sense than their gasoline counterparts. Morgan Stanley also suggests watching countries like India for early mass-market take-up of autonomous car sharing. With existing car ownership low, this is a market that will be more receptive to innovative designs that break with convention. Once cloud data centers had standardized on highly efficient custom designs, they found they were able to automate their operations using repeatable configurations and processes. At the same time as maximizing utilization rates, this slashed the time to set up a new server from sometimes months to minutes. Rapid provisioning allowed the synthesis of DevOps, as the practice of continuous delivery made it possible to roll out software updates several times a day instead of once in a blue moon. All this transformed the rate of innovation in enterprise application development. Owning and operating a vehicle fleet is not for the faint of heart. You need to hire people to watch them at night, car washing and cleaning, handle maintenance, get them smog checked and make sure they have the right stickers and comply with regulations, and that’s all before you get them in the hands of people where they can make money on them. But autonomous cars will change riders many times a day, so any means of reducing the turnaround time between rides will have a big impact on the utilization rate. Expect these vehicles to be designed for rapid cleaning, with easily removed seats, rapid-dry fabrics and no fiddly ridges and crannies. They’ll be optimized for robotic cleaning, too, or even equipped to clean themselves as they drive empty from one ride to the next. One of the most unexpected developments in the recent evolution of cloud computing is that the largest cloud providers have reached such scale that they’re now designing their own custom processors for certain compute tasks, in particular machine intelligence. Having achieved massive scale based on cheap commodity hardware components, this scale now allows specialization to serve the new mass markets they see emerging. Large-scale autonomous ride sharing providers will similarly seek out new ways to differentiate themselves. Just as low-cost airlines charge for basics and ask passengers to dispose of their own litter, so low-cost ride sharing may depend on users rather than robots to freshen vehicles at changeover. At the other end of the scale, the premium end of the market will open up early opportunities for autonomous flying cars and passenger drones. Earthbound autonomous vehicles are still learning how to navigate busy city streets while avoiding the many obstacles to be found there — recognising and avoiding cyclists is especially hard. In contrast, the skies have far fewer obstacles to negotiate. This makes autonomous flight a far less complex challenge to automate than autonomous city driving. 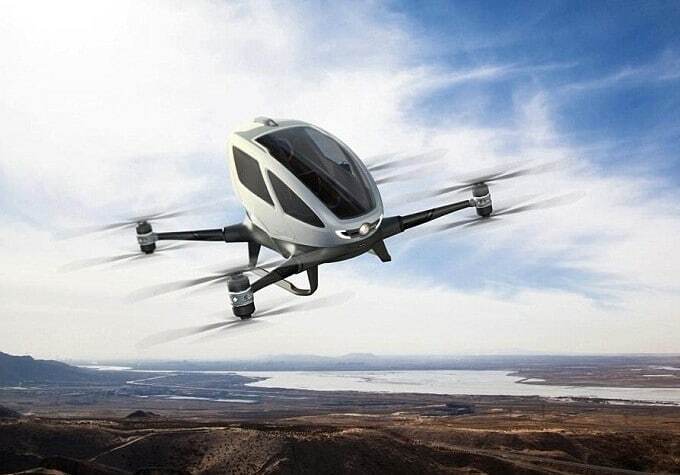 Live trials are due to start in July this year in Dubai of China’s Ehang 184 passenger-carrying drone. The single-seater ‘autonomous aerial vehicle’ flies a single passenger point-to-point between predetermined stops at around 60 mph (100 km/h). It won’t suit everyone, but as a premium alternative to sitting in traffic it could appeal to busy executives — giving new meaning to the term ‘high-flyer’. 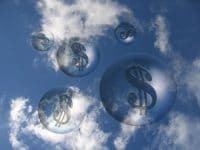 The new economics of cloud computing — economies of scale and innovation at the provider level and a pay-as-you-go consumption model — have opened up access to previously expensive, asset-intensive resources. That’s enabled enormous business innovation, not only at established businesses but even more notably among pioneering startups. While computing is more widely relevant to a range of different activities than autonomous transport, it’s still reasonable to assume that low-cost availability of on-demand local transportation will enable unexpected new business models to flourish. Some will serve the industry — such as cleaning, battery replacement and maintenance services — others will use it as a platform for distributing local services to their customers (probably those provided by humans, as packages are more likely to be delivered by smaller robots or drones). The emergence of these various ecosystems will have a powerful impact on the success or failure of competing providers. We shouldn’t assume that today’s ride-sharing giants will become tomorrow’s autonomous transport giants. Will Uber’s relatively open platform approach triumph over Tesla’s more Apple-like, vertically integrated strategy? Maybe both will lose out to future newcomers, just as Excite and Yahoo! lost the search engine wars to latecomer Google back at the turn of the century. If parking goes away, road capacity increases by, perhaps, several times, and an on-demand ride is the cost of a coffee, then one needs to start thinking much more generally … one needs to think about cities. Cars have remade cities over the past century, and if cars are now going to change entirely, cities will change too. I first started writing about cloud computing almost 20 years ago, and it’s only now finally reaching mainstream acceptance. The adoption curve of autonomous on-demand transportation will play out over a similar timespan. For the first few years, the early adopters will be outliers for whom the convenience and cost advantages will outweigh the still unquantified risks and uncertainties. Some will endure ridicule for putting their faith in this unfamiliar technology. Others will fall foul of unscrupulous or careless providers that play fast-and-loose with data privacy or rider safety. The nascent industry’s leaders will eventually realize that building trust is the only way to extend their reach beyond those early adopters. Almost imperceptibly, attitudes will begin to shift as adoption grows and then one day — 15-20 years from now — it will suddenly become clear that a tipping point has been reached and mainstream opinion will switch behind the new normal. By then, it will already have become hard to find a filling station in some locations and sagging demand will drive down the resale value of traditional gasoline-powered cars, depressing sales for manufacturers still serving this market. The autonomous, electric-powered, on-demand vehicle (whatever its prevailing form turns out to be) will have arrived. Just like cloud computing, the benefits of autonomous ride-sharing derive from being able to operate at maximum efficiency, which requires massive scale. Unlike cloud computing, that scale can’t be delivered to remote areas. Ultimately, it’s quite likely that some cities will completely ban human drivers in order to maximize the efficiency of their autonomous vehicle fleets. But in rural areas, a conventional gasoline-powered vehicle driven by a human will remain the most cost-effective choice for many years to come. There may well be other environments where autonomous transport remains an inferior choice — and of course there will plenty of enthusiast petrolheads who drive cars as a hobby to provide a historic spectacle for weekend tourists. In the same way that steam engines are preserved and shown off today, future generations will be able to vicariously experience and marvel at the sights, smells and excitement of the late twentieth century’s dominant form of transport.